To ensure that your vehicle runs properly, maintains peak performance, and has an extensive lifespan, you’ll want to schedule periodic appointments with the Parts and Service Department at Prestige Imports for our Porsche and Audi Fluid Exchange Service program. What color are the fluids in my vehicle? What is the difference between a Flush and a Fluid Exchange? When consumers indicate they are in need of a flush, often they are referring to a fluid exchange. Although the two services share similar names, they are actually very different procedures. During a flush, a technician either adds a cleaning agent into the system, or pumps pressurized fluid through it. The cleaning agent or high pressure treatment rids the system of old fluid and debris. A fluid exchange (the more common of the two services) does not introduce foreign cleaners, which allows the fluid to exit the vehicle at its own pace. As the name suggests, a technician drains old fluid out of the system, then adds new fluid. When you step on your brake pedal, brake fluid rushes to each brake in order to apply pressure that slows your vehicle. The brake fluid running through this system is hygroscopic in nature, which means that it attracts water molecules from the surrounding environment. This, of course, is a problem since most of the components found within brake systems contain copper, and copper erodes when exposed to moisture. The particles from this erosion can contaminate the brake fluid. Additionally, increased moisture in the braking system lowers the boiling point of the brake fluid. Since Audi and Porsche brake systems produce a lot of heat during use, excess water has the potential to boil and turn to steam. Because compounds in their gaseous state are compressible, steam in the brake system could potentially cause brake failure. Air trapped inside the brake line is another common issue with brake systems. This problem occurs when a leak, overrunning the master cylinder, overheating/boiling of brake fluid, or improper maintenance work introduces air pockets into the system. A soft, spongy feeling when you depress the brake pedal is a telltale sign that air has entered your brake fluid line. To amend the problem, your brakes must be bled. Prestige Imports recommends that your brake fluid be replaced every two years. The radiator’s function is to keep your engine cool. Coolant, also called antifreeze, takes the heat from the motor and cools it through the radiator. It is also responsible for preventing freezing and premature cooling-system corrosion. Due to the high temperatures and pressure to which coolant is exposed, it breaks down over time. Radiator maintenance is essential to the health of your vehicle and most commonly involves simple part replacement and radiator fluid (aka coolant and antifreeze) exchange. Most vehicle manufacturers recommend replacing the coolant at regular intervals but some vehicles have “lifetime” coolant. When your vehicle’s cooling system is not functioning properly, the temperature of your engine can get hot enough to cause damage. Overheating can lead to warped heads, blown gaskets, and engine failure. If your engine is running hot and/or you find coolant beneath your vehicle, we recommend towing the vehicle to avoid potential damage to the cooling system and your engine. Warning: Never remove the radiator cap on your vehicle while the engine is still hot or warm. There is still a lot of pressure and you could be scalded by steam and very hot liquid. Audi vehicles have coolant that will last the lifetime of the vehicle thus they do not recommend coolant flushes or fluid exchanges as part of the service intervals. However, due to the region we live in, Prestige Imports recommends coolant be changed once every 5 years or 100,000 miles, whichever occurs first. Porsche vehicles have coolant that will last the lifetime of the vehicle. There is no exchange schedule for the cooling system, however, if there is any major work to the cooling system like the replacement of a water pump the fluid will be changed. Audi and Porsche vehicles require special coolant. 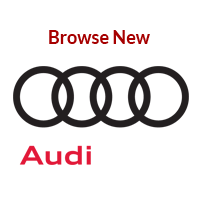 Audi uses a G12 coolant that is anti-phosphate, anti-amine, anti-phosphorous coolant. DO NOT use regular store bought coolant which can contain ethylene glycol and does not correspond with the specifications of an Audi cooling system. The wrong coolant can lead to a contaminated cooling system and corrosion of metal, rubber and plastic components. If you find yourself in a situation where you do not have the proper coolant and your cooling system is low then we advise that you use distilled water. Be advised that in winter weather conditions the distilled water will lower the coolants resistance to freezing. Should you accidentally use the incorrect or poor quality coolant, you will likely need a coolant system flush. Audi approved G12 coolant can be purchased in the Prestige Imports Audi Parts Boutique. The 1 gallon concentrate should be diluted with distilled water (50/50 ratio) before topping off your vehicles coolant. You can also stop by the Audi Service Drive and have us assist with topping off the coolant in your vehicle. There is no additional charge for topping off fluids, just the cost of the fluid. 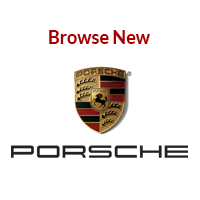 Porsche approved Porsche Coolant can be purchased in the Prestige Imports Porsche Parts Boutique. The 1 gallon concentrate should be diluted with distilled water (50/50 ratio) before topping off your vehicles coolant. Your Porsche Service Advisor can also assist with topping off the coolant in your vehicle. There is no additional charge for topping off fluids, just the cost of the fluid. Power steering fluid is another fluid subject to high pressure and temperatures. Over time it breaks down, due to exposure from heat, friction, and electrochemical degradation (i.e. the reaction occurring between fluid and metal inside the vehicle, which degrades tubes and hoses). Degraded power steering fluid causes wear and damage to the seals that it encounters. 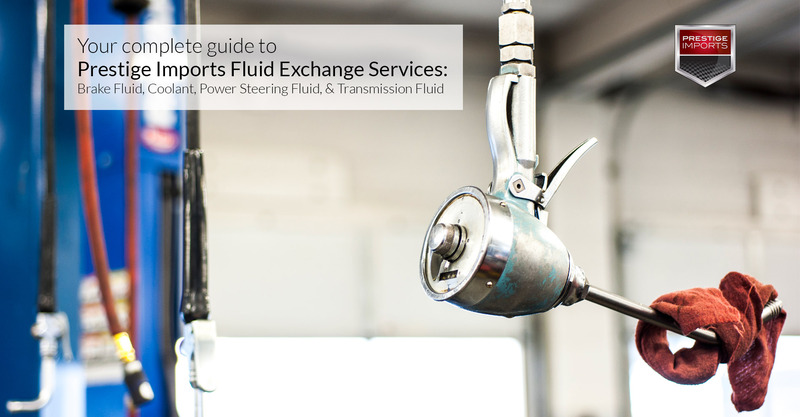 Power steering fluid exchanges are recommended every 2 years. If the fluid is not changed, sludge and varnish deposits will build up, reducing your ability to turn and handling responsiveness. You only will find power steering fluid in hydraulic power steering systems. Many newer vehicles have an electric power steering system which has no fluid. You will want to ask your Audi or Porsche certified technician at Prestige Imports to find out whether or not your vehicle employs a hydraulic or electric power steering system. Free flowing transmission fluid lubricates, cools, and cleans a vehicle’s transmission. Under extreme temperatures and pressure the fluid eventually will break down; although, some vehicles have specially-designed, lifetime transmission fluid. If your vehicle requires a transmission service, it will be noted in the owner’s manual for your vehicle. By following the recommendations for your vehicle’s transmission, you can keep your vehicle in good, working order, decreasing the likelihood of costly transmission repairs. Computers control most modern vehicles with automatic transmissions. As such, you will need experts—like the factory trained Audi and Porsche technicians at Prestige Imports—to correctly diagnose any transmission repair or service you might need. Common repairs include transmission fluid exchange or flush, replacing transmission filter, full transmission service, or, in extreme cases, rebuilding/replacing the transmission. 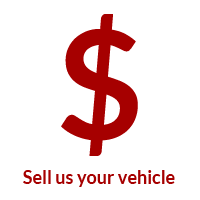 The main goal is to provide the best value, so as to get your vehicle back on the road quickly and in the best running condition. 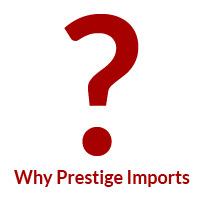 Porsche recommends a transmission fluid exchange at 160,000 miles, but, due to our region, Prestige Imports recommends a transmission fluid exchange at 80,000 miles. Audi does not recommend a transmission fluid exchange, as their vehicles are equipped with lifetime transmission fluid.